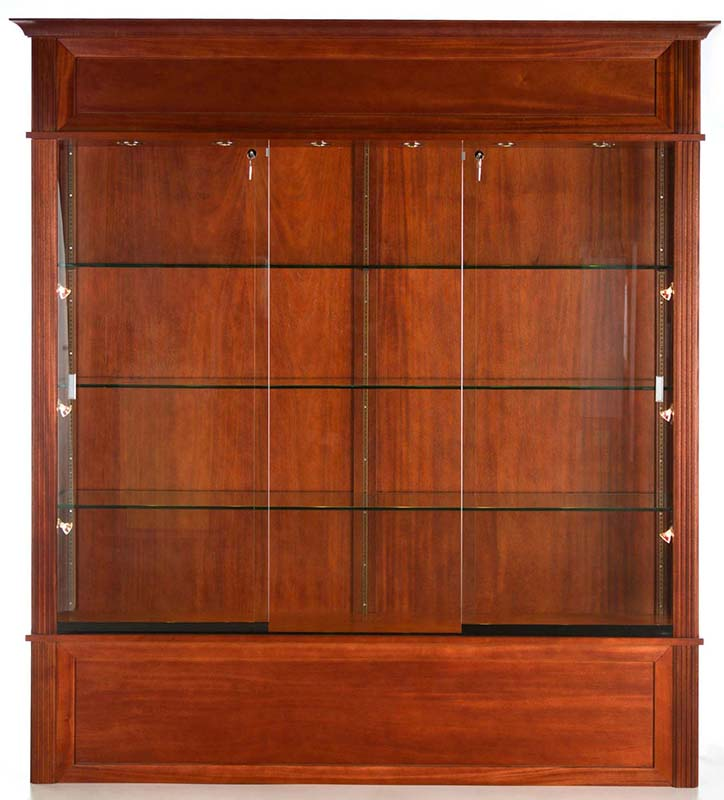 Our Traditional Wood Veneer Display Cases feature exquisite detailing and design, paired with museum-quality construction. Constructed of real wood veneers and clear tempered glass. 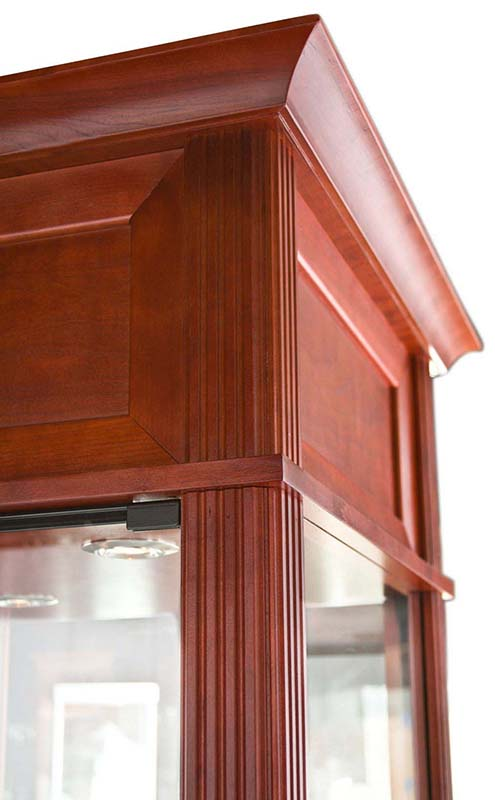 All display cases include lighting in top canopy for illumination of contents. 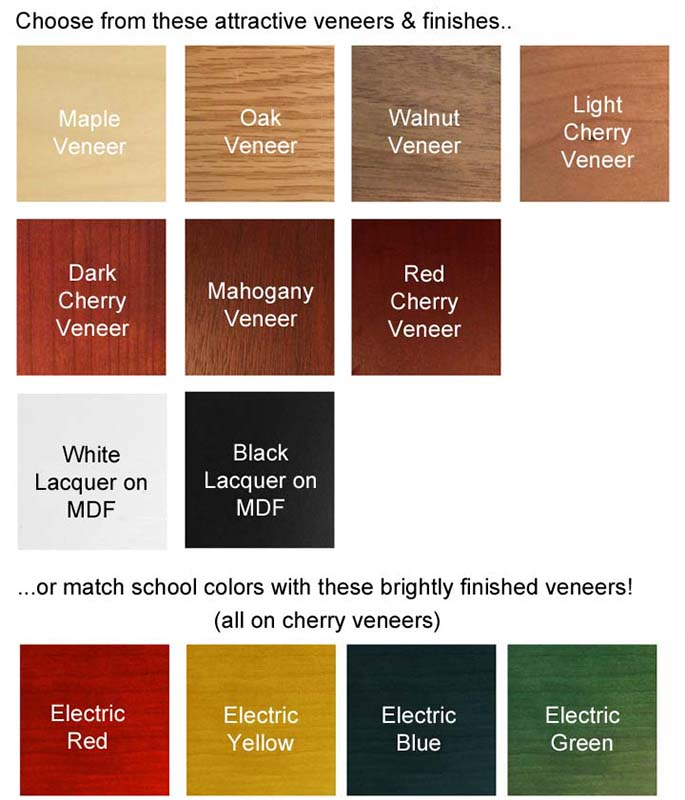 Choose from several finishes. Ships ready to use and fully assembled. Shpg. wt. 315 lbs. PRICE INCLUDES SHIPPING! (Truck shipment - See Terms & Conditions). Please allow 3-4 weeks for delivery. 40"W Wood Traditional Veneer Display Case sold above. See other sizes below. * Clear, tempered glass on front and sides. * Matching wood veneer back panel. * Wood Veneer Deck stained to match display case. * Locking sliding door (plunger lock). 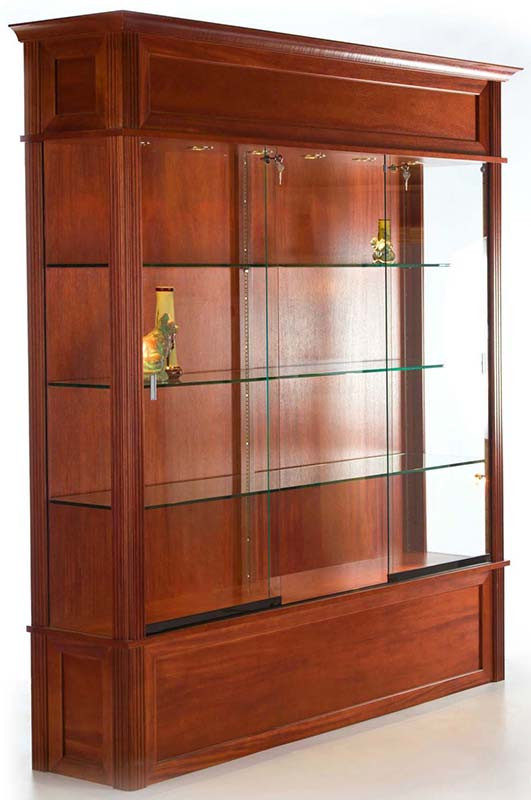 * Glass Display Area measures 54"H.
1 - 2 $5,299.00 ea. Just like display case above but with 6 adjustable LED spotlights. Ships assembled. Shpg. wt. 315 lbs. PRICE INCLUDES SHIPPING! (Truck shipment - See Terms & Conditions). 1 - 2 $7,299.00 ea. Just like display case above but in a 75"W version. 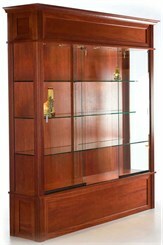 Includes three adjustable 3/8" thick glass shelves. Four LED lights in canopy. Measures 75"W x 17-1/2"D x 82"H. Ships assembled. Shpg. wt. 508 lbs. PRICE INCLUDES SHIPPING! (Truck shipment - See Terms & Conditions). 1 - 2 $7,399.00 ea. Just like display case above but with 6 adjustable LED spotlights. Measures 75"W x 17-1/2"D x 82"H. Ships assembled. Shpg. wt. 508 lbs. PRICE INCLUDES SHIPPING! (Truck shipment - See Terms & Conditions).